If time can be thought of as a layered cake, the photographs by August Sander (1876-1964) on view at Hauser and Wirth document a hearty slice. Over forty photographs from his ‘Portfolio of Archetypes’ reveal a period between 1910 and 1931 in Germany. Sander chose his subjects based on socio-and ethnographic diversity. He wanted to truly capture the diverse physiognomy of the region and how life was transferred through class and labor. Utilizing only natural light, the face of each and every subject literally glows with an unspoken mysticism. 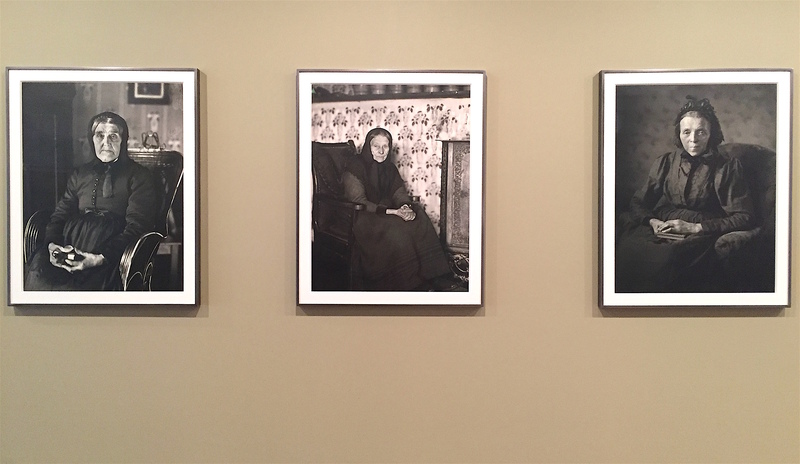 Titled in German and translated in English, the photographs simply identify each occupation of the sitter. One such example is “Polizeibeamter. Herr Wachtmeister (Police Officer), the standing portrait of a man with an impressive mustache that extends beyond the edge of his cheeks, parallel to his shoulders. Another is “Frau lines Maiers [Helene Abelen] (Painter’s Wife [Helene Abelen]) circa 1926, a full body portrait of an androgynous woman dressed in white gypsy style pants, a tucked button-down shirt and thin, black tie. In the first example the subject’s body language is erect, commanding both the frame and the space it occupies. In the latter image, the painter’s wife, stands with a slight forward slouch, hands in front of her stomach in the process of lighting a cigarette which delicately dangles out of slightly parsed lips. Looking at these two photographs one is given a glimpse into two very different lives. During a recent walk-through at Hauser & Wirth uptown, Gerd Sander the photographer’s grandson stated, “He [August Sander] released them of having to be somebody, other than themselves.” Just hearing that, or in this case reading it, it’s possible to envision the photographer as one who releases air from a balloon, allowing space for presumption or expectation to dissolve, naturalistically. This is evident in the portraits. A majority on view were shot in the 1920s during a time when the camera was still an object of magic. Seeing this world through Sander’s lens, each landscape and figure emerges in a life of color even if the gelatin prints are an unearthly shade of raw sienna, the tone often associated with a particular moment of Westernized history. For those present at the walk-through, Gerd Sander assured us that his grandfather left nothing to chance and was extremely specific in his compositional choices, subjects and moments captured. It was a time in Germany where religious segregation was present and Protestants didn’t often associate with Catholics. 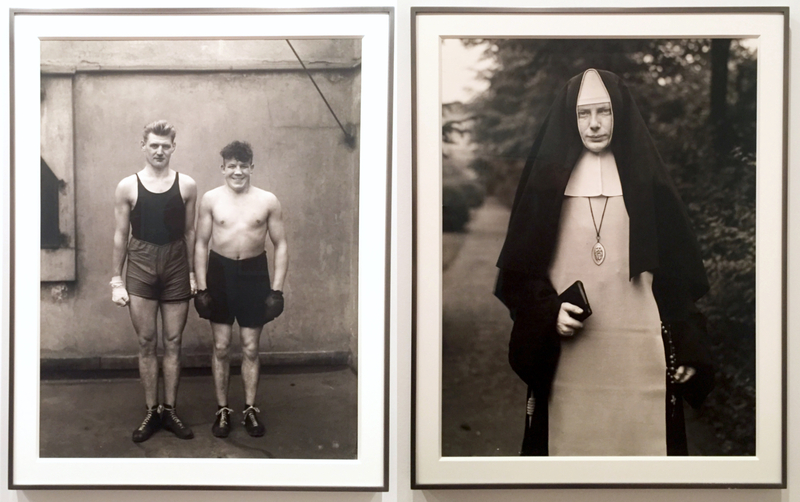 August Sander wasn’t interested in separation but rather documentation and when warned against seeking out making pictures merging these religious sects in the same frame he stated, “Let it be, what I see and what I feel is important. We all have the same God.” In this instance, it was true and he looked past any and all ways that people found difference in favor of producing images that were straightforward and authentic. Walking through the exhibition, looking at eyes from days of yore, from bodies no longer breathing yet looking back, there is an undeniable phantasmagoric resonance, dangling in the gallery. Photography was in fact, a way for ghosts to be raised from the dead —film— to living, through the development chemicals. With subjects as varied as those in an active city can be, the purposefulness of each photograph harkens to a time before the Internet, where Pinterest and Instagram have found ways to distribute digital portrayals of life in the a flurry of a newsfeed. Whereas today, photographs can feel somewhat disposable, the forty on display here carry an elegance in the glossy finish and a reminder of the intricate process involved in the confines of a darkroom. Facial features, body language and spatial relationships have changed over time. We are now accustomed to technology and carry evolved cameras in our pockets. Photographic documentation and portraiture now often defined as a ‘selfie’ was once a moment that appeared quite somber. 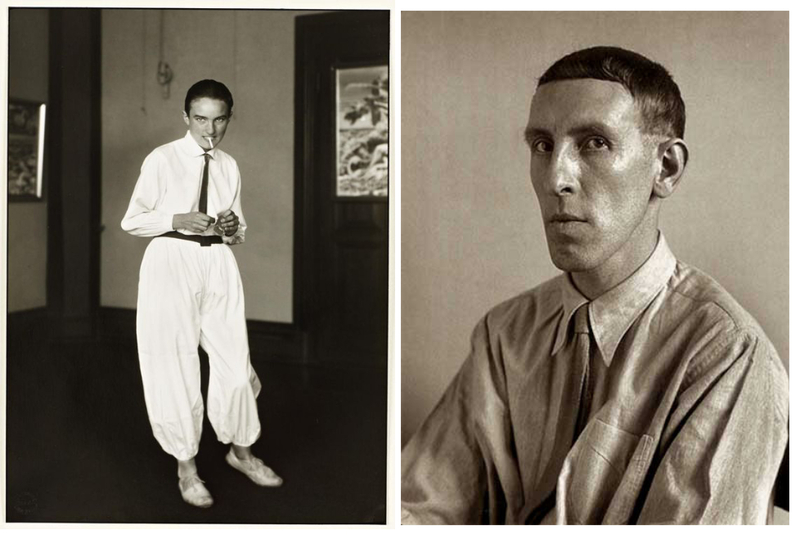 In fact, none of the figures in August Sander’s photographs smile with parted lips. In a few, a slight grin can be detected but for the most part, the participant stares into the lens determined to be remembered. Well, August Sander has succeeded. His ‘Portfolio of Archetypes’ lives on in 2017, a glance into a moment that lasted as long as it took the shutter to snap closed. The life journey is real and while the mechanics of the archive may change over time, the assuredness of yesterday still has the power to reveal an estimation of truth today. 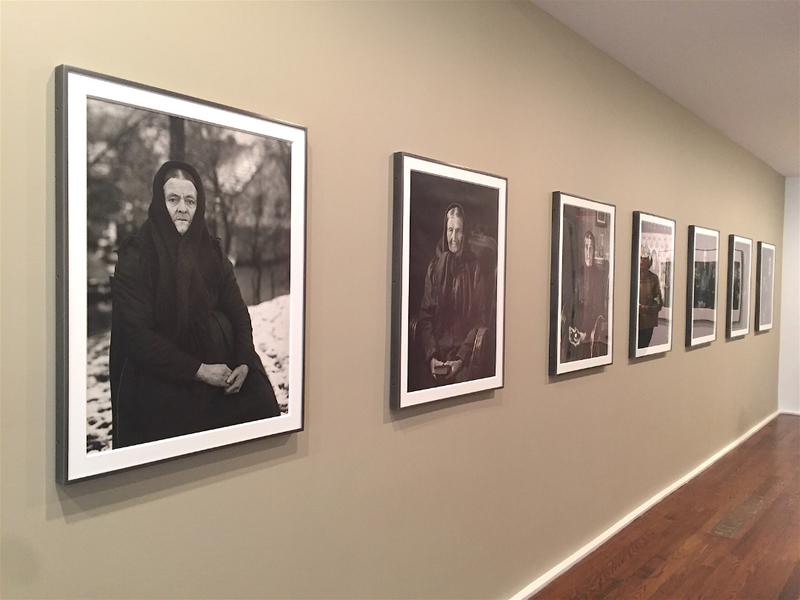 “August Sander” is on view at Hauser & Wirth on 69th Street until June 17th, 2017.